Unique Moments Photography of Gig Harbor is in its 9th year of business as a professional wedding photography company. We have always said its the most emotional moment of the day. The father daughter dances. Unique Moments Photography of Gig harbor Washington captured this images a few years ago and it remains one of our favorite father daughter images. Pictures like this are why we love to capture weddings. You never know when it is going to happen and you have to keep a keen eye open. But Human emotion is the most powerful image a photographer can create and it is truly an honor to capture these kinds of images. Fathers have to give their daughters to someone else. The bible passages are often read at most weddings. A man shall leave his family and a woman shall leave hers and unite to become one. 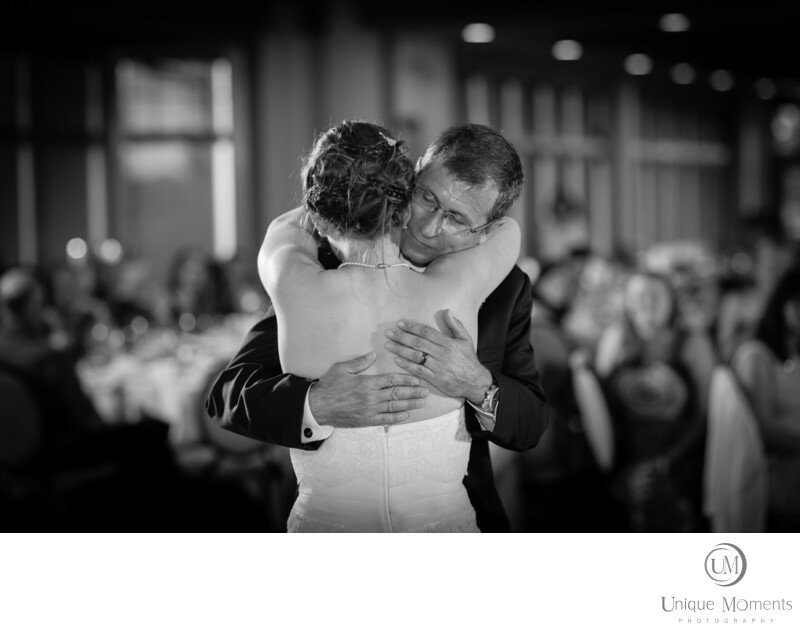 For the fathers of the brides, its never an easy thing to do and this powerful image clearly shows how hard it can be. But the love between these two is clearly evident. Location: 3703 64th ave ct nw, Gig harbor, Wa 98335.